Who doesn’t love a confusingly lovable Time Lord who saves the world? To celebrate the release of the new season of Dr. Who, which premieres around the world on October 7 (2018) I thought it apropos to feature a time traveling cocktail. Dr. Who has spanned generations. I should say, re-generations, since the lead role relies on the premise that the Doctor, an alien “Time Lord” from the planet Gallifrey, will take on a new body every so often as he travels through space and time. It’s about time too that the Doctor visits the modern era. For the first time ever, the new iteration of the Doctor will be played by a woman, Jodie Whittaker, who will now go on to be known as the Thirteenth Doctor. James Bond, take note. Die hard Dr. Who fans will know about his proclivity towards bananas. He loves them. Bananas make an appearance now and again throughout the show’s history, like a long standing running joke. In “The Girl in the Fireplace” (season 2, episode 4, 2005), the Tenth Doctor, played by David Tennant, travels back in time to Versailles where / when he apparently invents / invented the banana daiquiri. Good thing he was carrying a banana at the time. 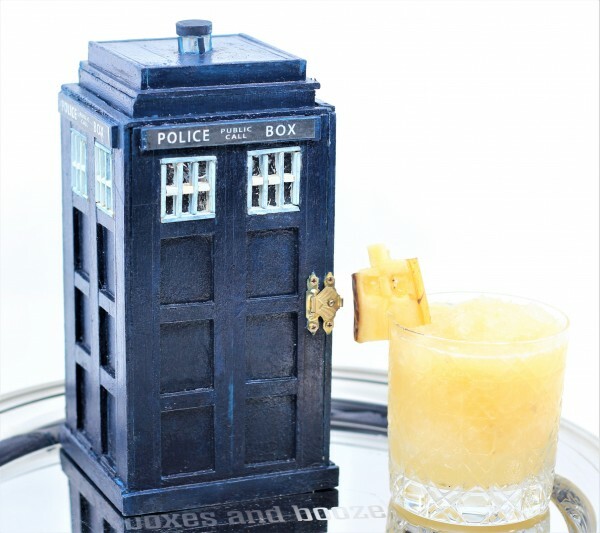 Of course, I had to make a banana daiquiri to toast the good Doctor and this TARDIS. The daiquiri, as everyone now knows, is the simple and delicious combination of rum, lime and sugar. 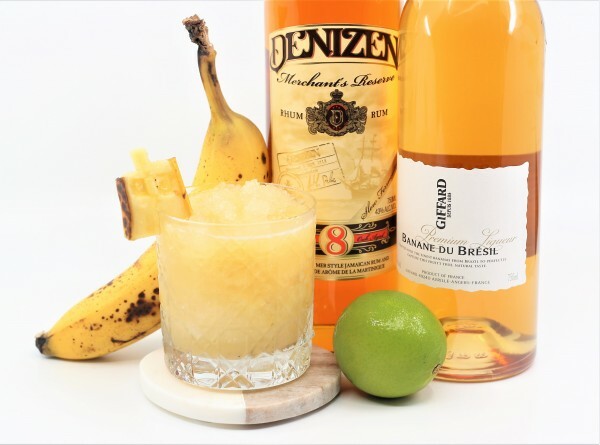 This version (with said banana) from Caitlyn Jackson of Geraldine’s in Austin, Texas ups the ante with banana liqueur. I threw in some extra banana as well, which I know is bananas, but I found it appealing. You’re gonna love it – a bunch! Here’s to the new Doctor Who, it’s about Time. Cheers! Muddle the banana in the bottom of a tin then shake all ingredients with ice. 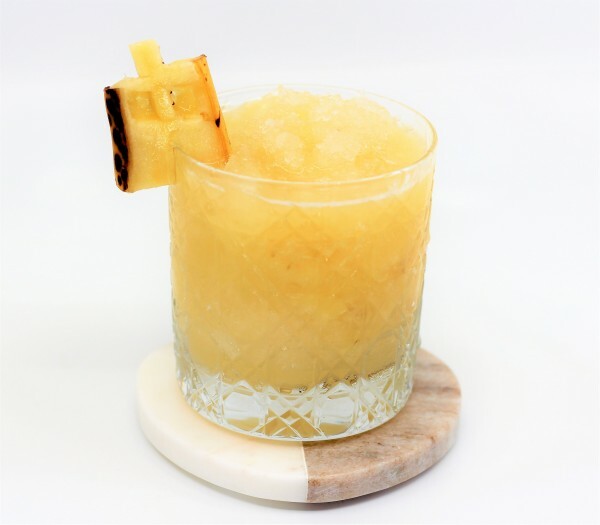 Strain into a favorite glass filled with crushed ice. Garnish with banana TARDIS.